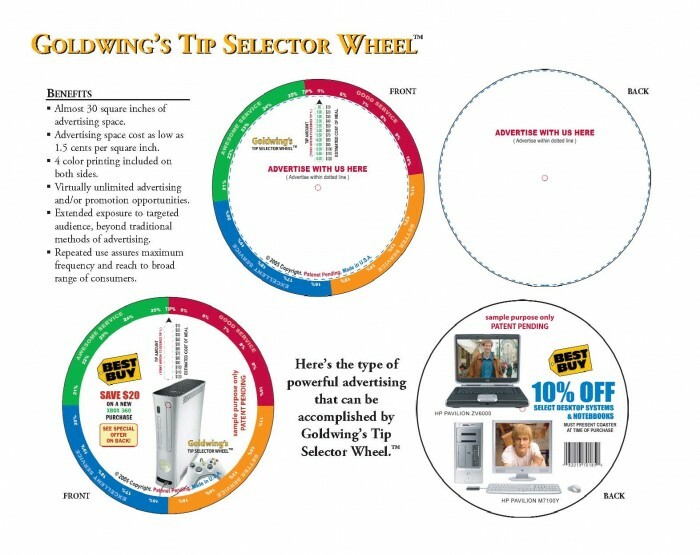 This is a wheel chart that doubles as a drink coaster offering a revolutionary, tabletop marketing/advertising solution. The product offers over 30 square inches of advertising space and can be used as a drink coaster. Because it has been placed on the table during the ENTIRE dining experience, the patron is well aware of its presence...and because of its added value, will take it when leaving the establishment and use it over and over again! The wheel chart allows consumers to actively engage the product by using the product as a fun trivia game. Think about it. The trivia questions on the product create a fun game that the entire family can play. Of course, it will get competitive among players leading to unlimited amounts of fun. Hey, little Johnny and Sally may actually learn something (educational benefit for kids and adults). Now that the family has been playing a game, spending quality time together, having fun, and laughing they are being exposed to your advertising constantly. That's an incredibly powerful anchor (they have anchored the experience kinesthetically, visually, and perhaps audibly). People link Amex to family, fun, laughter, and dining. Furthermore, they are exposed to the advertising at the right time!! What could be better than that? There is no other advertising medium that allows people to interact, be active, and have fun. Wow, that really beats watching OTHER people have fun on TV/billboards/magazine ads. The patrons get to have fun themselves. In order to maximize effectiveness of the product, another trivia question can be located on the back of the internal pull tab. Now this question will NOT be multiple choice. The consumer will have to go to your website to check the answer. Aha! Now we are leading people to your website (which will require people to submit their information to log in). Furthermore, we may also utilize scannable QR codes on the product that will allow patrons to login and have access to content via their mobile devices! As a result you are capturing data from your target audience. 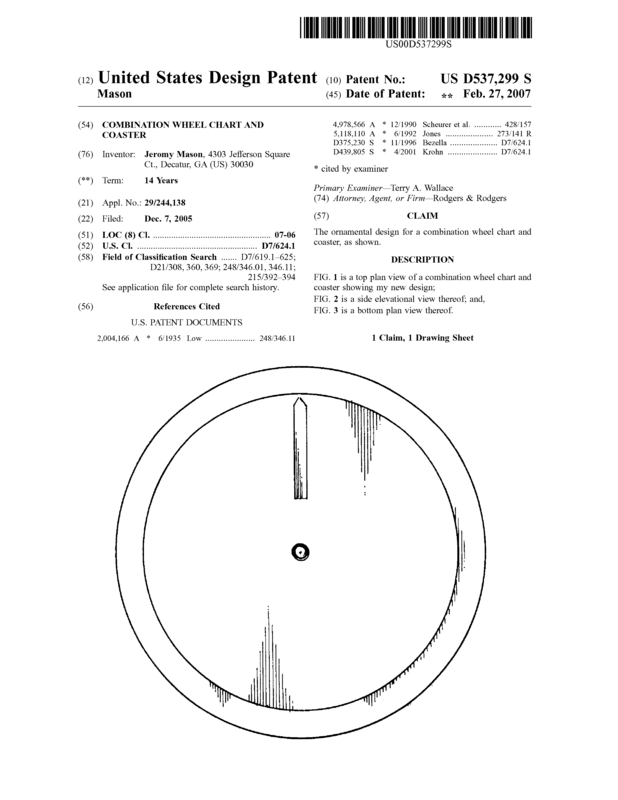 This is a sale of the patent for 100% ownership of the patent rights and 100% ownership of the Goldwing's Tip Selector wheel, Goldwing's Trivia Wheel, and Goldwing's Trivia Square business. To be clear, currently Goldwing Enterprises, LLC. has 100% full ownership of the property. Therefore, we have full decision making authority and ability to sell the property. Page created at 2019-04-25 10:07:34, Patent Auction Time.